Users with access rights to the Work Portal's Holiday menu can manage the project's holidays. Keep in mind that the complete schema of holidays can be defined through Bizagi Studio. Please visit the holidays article to learn more. 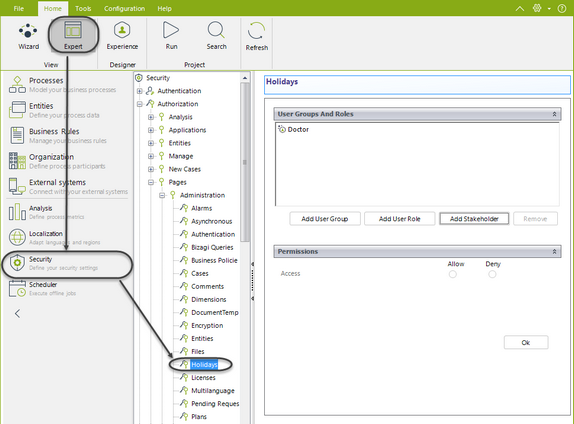 As a prerequisite, only users with access to Holidays page in Bizagi Studio's security definition, can actually manage Holidays in the Work Portal. The definition is in Authorization > pages >Administration > Holidays (Expert view). Go to the Admin menu and navigate to the Holidays option. This will display a window with a the current year's calendar. 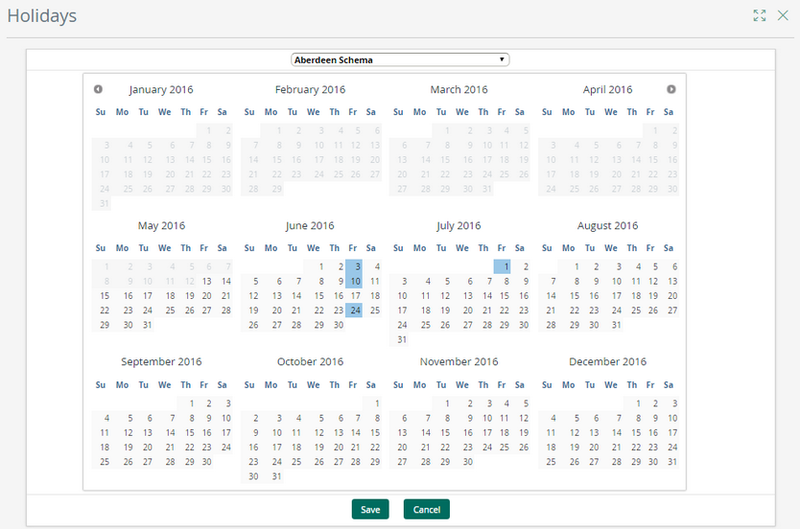 Select the schema to modify, and then browse through the calendar using the arrow icons located on the top of the window. Make sure you select the correct year to modify, and select the holidays to add. Finally save your changes. Bear in mind that the selected days will be added to the current schema.